Why The Rams Kept Case Keenum On The Field After His Head Bounce Off The Turf? There always has to be someone that has to sound ugly after a terrible accident. Well, I have chosen to be that someone. While others make their politically correct responses, I will tell you my not so politically correct response, as to why the Rams left Case Keenum in the game, but first, let set the scene. We all know that they had two quarterbacks suited for the game. They would be Case Keenum the starter, and Nick Foles his backup. They listed Sean Mannion, third string backup QB, inactive. So they go to Baltimore with just two quarterbacks. One of those quarterbacks just happened to have been benched earlier in the week, Foles. Move forward towards the end of the game where Keenum takes a nasty shot. As Keenum laid on the turf holding head, one has to imagine the panic that overtook Fisher and his staff. What do I now? raced through his mind. Do I have to go with the other dufus that I just benched? He sent his head trainer out on to the field who returned with the good news that Keenum said that he felt okay. Fisher felt relieved by not having to send in Foles, as well as no one else was the wiser of what just happen. But as Karma would have its way because that ignored concussion could have just cost the Rams the game. Keenum’s last fumble could have been the after effects of his hitting the turf. Watch the video of the hit and see him wobble as he gets up. I don’t if what I just written about why Fisher left Keenum is true. Don’t lie though because you probably thought that same thing when you first heard the news of Keenum’s concussion. 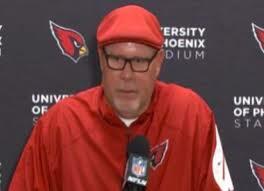 My first quick out for today has to do with the Cardinals’ head coach Bruce Arians’ obsession with the Rams. I will post the link for the story at the end, but here is a quick overview of his remarks after the Cardinals’ loss to the Steelers on Sunday. He compares the loss to their loss to the Rams two weeks ago. What does the Rams have to do with Sunday’s game? He just can’t get over how the Rams ruined the Cardinals’ chance for an undefeated season. Now that the USC Football head coach position has became vacant with the firing of Steve Sarkisian, rumors ring out possible candidates to fill the position. They are Rams’ coach Jeff Fisher, the Saints’ Sean Payton and Eagles Chip Kelly. Remember these are just rumored to be replacements, so I do not want to see any article coming out of St Louis that Jeff Fisher would not leave the Rams like the last time. Here is the link to the Jeff Fisher story. Here is the link to the story about Sean Payton and Chip Kelly story. Finally, being burnt by Pete Carroll once was not enough for USC. They would take him back as their coach. Are you really that hard up? Here is the link for that story. Are The Rams More Focused On Divisional Games Over Non Divisional Games? 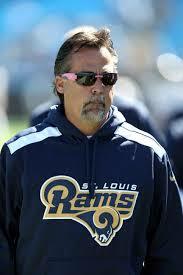 Since arriving as Rams’ head coach Jeff Fisher has made one of his goals to dominate in the NFC west. So how well has the team done in making that goal. Well the answer will be a short one. His first year it looked like the team would make that goal, but years afterwards, not so much. In his first year as head coach in 2012, Fisher’s Rams finished 4-1-1 in the divisional games while going 3-7 in non divisional games. Their only loss was at the hands of the Seahawks in Seattle. not many teams had success there, and they tied the 49ers. In 2013, they went 1-5 while going 6-4 in non divisional games, but we must remember that they loss Bradford for about half a season after being injured in Carolina . Finally during last season, 2014, they went 2-4 in their division versus 4-6 against non divisional opponents. Again they lost Bradford and the defense showed no life until later in the season. Their two divisional wins came against Seattle and San Francisco both games at home. So far this year in their first five games, they have two divisional wins with three non divisional losses. Why am I so concerned about the Rams’ divisional performance? Well, I have many reasons. The most important being its importance in tie breaking for playoff consideration. The more wins you have then tie breaking becomes a mute point. But, I also have this concern that there might be too much emphasis being place on divisional games over non divisional games. I could be wrong, and I hope that I am wrong. The only time time where I could be wrong would be the 2013 and 14 seasons when they posted better non divisional records then divisional records. 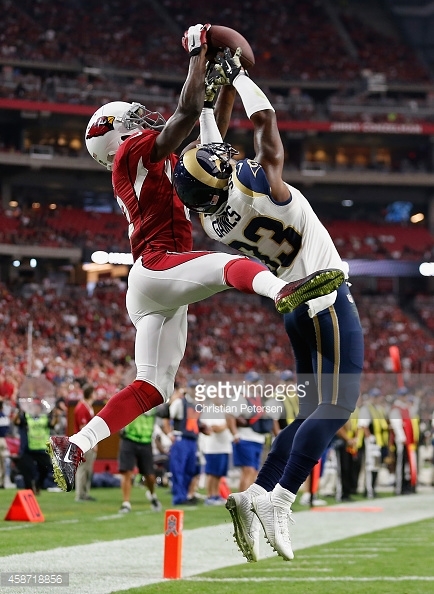 The Rams ended the Cardinals’ undefeated streak in Arizona, yesterday with 24-22 victory. While the the Rams offense showed flashes of brilliance behind rookie running back Todd Gurley and receiver Tevon Austin, it was the defense that commanded the day by shutting down the Cardinals red zone offense. The Rams defense forced the Cardinals to settle for five field goals while in the red zone. The Cardinals only touchdown came late in the fourth quarter. It was 23 yard pass from Palmer to Johnson. This pass would be the one and only the ball would cross the goal line for the Cardinals other than by way kicking. The Rams’s defense held the Cardinals to 113 yards rushing, but allowed 334 yards passing. They sacked Palmer 4 times for a loss of 18 yards. The defense also forced 2 fumbles and recovered one. Jenkins also intercepted one of Palmer’s’ passes. On the other side of the ball, Foles completed 16 of his 24 passes for 171 yards and threw 3 touchdown passes. He had no interceptions, but was sacked once for a seven yard loss. Gurley rushed for 146 yards the longest run was 52 yards, and Austin rushed for 20 yards and his longest was 12. Austin had 6 receptions for 96 yards and 2 touchdowns. His longest was 47 yards. While the Rams showed some life yesterday, the big question, will they show that same life or more life next Sunday against the Packers? We must keep in mind that the Rams’ two wins have been against division opponents while their two losses have been to teams outside their division. So next week’s game against the Packers will be very important one in order to see if they have really turned the corner because this one will be against a team outside of the division. 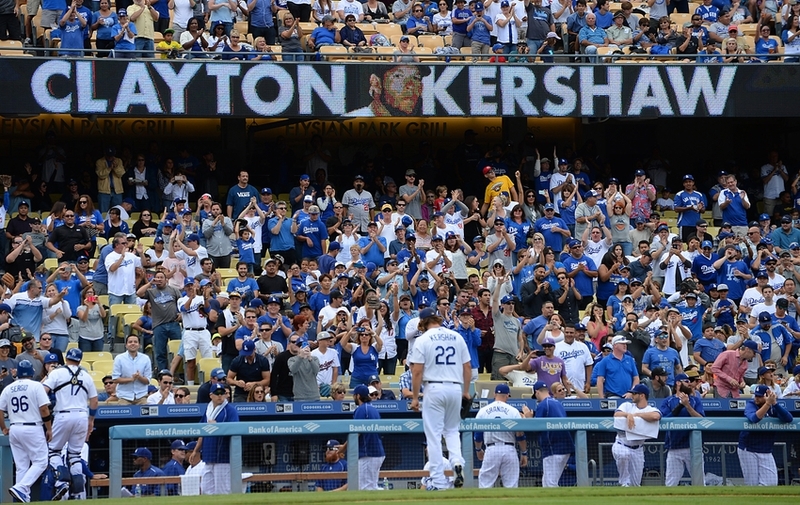 The Dodgers ended their season on high note with a victory over the Padres. So they go into the postseason, feeling good about themselves. They swept their final series from the Padres with three wins. They open up their post season with home field advantage in their series against the Mets. Yes life looks good for the Dodgers. You know a couple of weeks ago it looked like they would have a melt down, and I was really worried going into their series with the Giants. But you know now that is all in past. We must now look to the playoffs and hopefully a deep run in the playoffs. I know that this postseason could bring a lot painful changes, but for now lets not be concerned about those changes and enjoy the Dodgers’ run in the playoffs.